Talk of animation now and most people’s minds will go straight to a multi-million pound Pixar blockbuster, or at least a modern cartoon series like Family Guy or Adventure Time. In reality, though, this art form has a history stretching back more than 100 years, and it’s come a long way in that time. 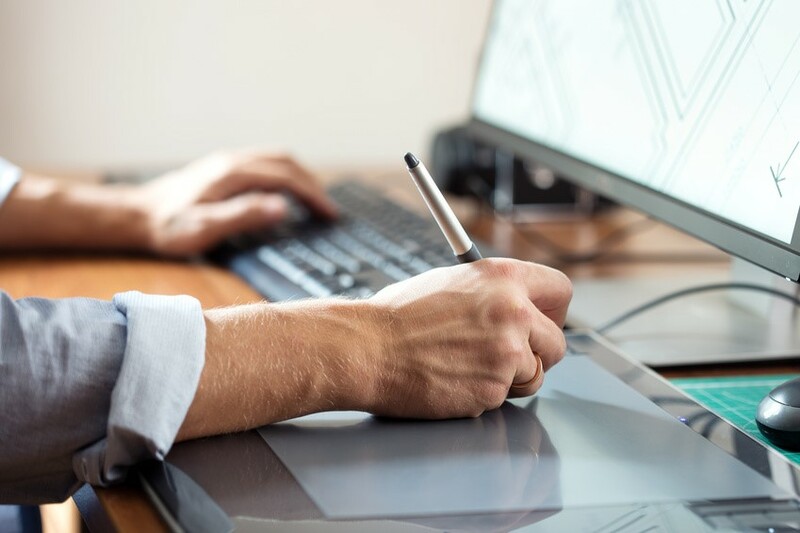 From flipbooks and xerography to stop-motion clay and computer-generated imagery (CGI), the constant introduction of new technologies has always kept the animation industry moving forward, and the evolution continues today. With this in mind, let’s take a look back at some of the biggest milestones to date. Animation, at its core, is simply the act of creating an illusion of movement by manipulating still images – that much has remained true from the early 20th century right through to today. It’s just the way in which this illusion is achieved that changes from time to time. It’s difficult to identify the first true animated film, but there are some that always come up in conversation. Humorous Phases of Funny Faces is a great place to start, as it’s often considered by film historians to be the first animation recorded on standard picture film. Directed in 1906 by producer and illustrator J. Stuart Blackton, the three-minute silent short shows various characters moving and interacting with one another, including a clown playing with a hat and a dog jumping through a hoop. It was created using a mix of stop-motion and cut-out animation, with images drawn on a chalkboard. In some scenes, you can actually see Blackton’s hands. 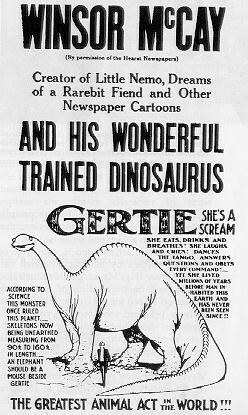 Another notable example from around this time is 1914’s Gertie the Dinosaur, which despite coming only eight years later, looks considerably more advanced than Humorous Phases. 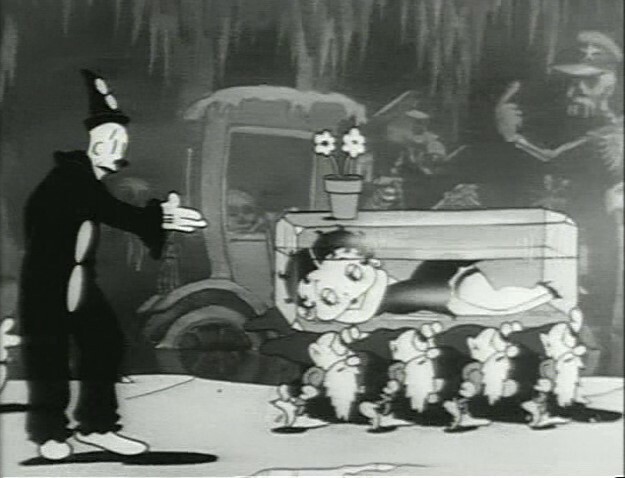 It’s regarded as the first ever keyframe animation – a technique by where the animator uses certain frames to distinguish the start and end of a smooth transition of movement. In the years that followed, animators began experimenting with a whole host of new technologies – one of the most notable of which was rotoscoping. Invented by European-American animators Max and Dave Fleischer in 1915, this technique involved tracing over live-action footage, frame by frame, to create a realistic movement effect in an animated character. This was usually achieved by projecting real imagery onto a glass panel and re-drawing over it. The results of this laborious process were hit and miss to say the least, but the Fleischers’ studio went on to use it to create a number of pioneering animations, including the legendary Out of the Inkwell series (1918-1929) and the famed Betty Boop cartoons of the 1930s. The technology lived on, too – it was used to create the lightsabre effects in all three of the original Star Wars films in the 1970s and 80s, as well as various modern music videos and video games. Walt Disney is perhaps the name most synonymous with animation, and for good reason. The Walt Disney Studios first opened in Los Angeles, California in 1923 but moved various times before settling in Burbank. Led by its Chicago-born namesake, the organisation was staffed by a team of talented illustrators and animators who constantly pushed the art form’s boundaries. 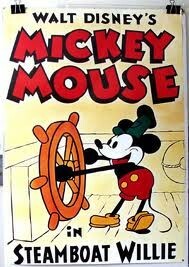 Amid all of the moving and upheaval, Walt Disney released the ground-breaking Steamboat Willie short in 1928. 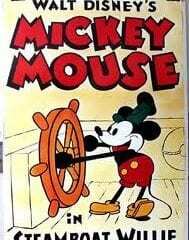 Not only was this the debut of what is arguably animation’s most famous character, Mickey Mouse, it was the first cartoon with fully synchronised sound, including effects and music. Not content with bringing sound to cartoons, Disney produced and released Flowers and Trees in 1932 – it was the first commercially released film to be created using the full-colour three-strip Technicolor process, which soon became the standard in animation. After plenty of further experimentation, Walt Disney Studios began work on its telling of the Brothers Grimm fairy tale Snow White and the Seven Dwarfs. Released in 1937, it’s considered by some to be the first full-length traditionally animated feature film. Discuss Disney’s impact on the animation industry and comparisons with Warner Brothers usually follow. The company’s cartoon division, famous for characters like Bugs Bunny, Daffy Duck and Wile E. Coyote, was born independently in the early 1930s under the name Leon Schlesinger Studios. It was later bought outright by Warner and the renamed Warner Bros. Cartoons went on to become one of the most successful studios in American entertainment history. 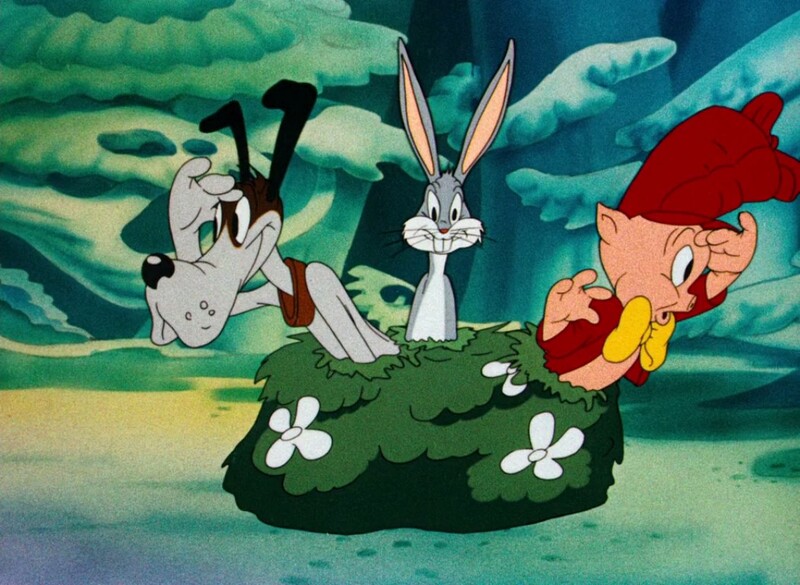 Although it used many of the techniques pioneered by Disney and other peers, Warner Bros. Cartoons brought a new, fast-paced satirical twist to animation – opening the medium to new audiences and forcing creators to continually stretch the technologies at their disposal. Together, Warner Brothers and Disney dominated a period many regard as the ‘Golden age of American Animation,’ from the late 1920s until the end of the 1960s. As the popularity of animation grew, it started to gain more of a presence on televisions across the US and Europe in particular. 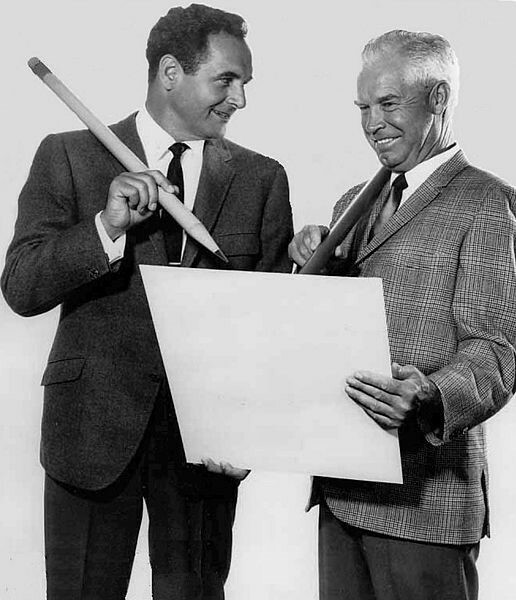 The transition to the mainstream was undoubtedly driven by Hanna-Barbera – a studio founded in 1957 by William Hanna and Joseph Barbera. Hanna-Barbera produced a sizeable catalogue of shows over its 30-year prime. Series such as Scooby-Doo, Yogi Bear, The Flintstones, Wacky Races and The Jetsons were all massive hits for the company, with their characters becoming iconic. With the demand for content so high throughout the 60s, 70s and 80s, the Hanna-Barbera team was forced to find ways to speed up the animation process. Cost was also a concern, with budgets getting tighter. The response was to rely heavily on ‘limited animation’, an approach that involves the recycling of character and background forms to save significant amounts of time. Although this idea was nothing new, Hanna-Barbera took it to new levels by simplifying character designs in a way that meant they were often only required to animate small parts (eyes, mouths, limbs etc.) of any given figure in a scene; the rest of the body would remain the same throughout saving the need for what it deemed unnecessary drawing. By the end of the 1980s, a focus on quantity over quality had brought Hanna-Barbera’s time in the spotlight to an end, and although series like The Simpsons kept interest in cartoon entertainment high, it wasn’t until the early-to-mid 1990s that the new era of animation truly began. The first feature-length computer-animated film, it showed the world what could be achieved using new technologies, and opened the door for a fresh wave of animated masterpieces. The release was a huge success too, taking more than $370 million at the box office and going on to become a bone fide classic. The feat wasn’t without hard work, however. According to wired.com, the 77-minute film is made up of 1,560 shots, all of which were created using Sun and Silicon Graphics workstations and then edited through Pixar’s own RenderMan software. In total, it took four years – and 800,000 machine hours – to produce the final cut. Toy Story shook not only animation but the film industry in general. It levelled the playing field in many ways, helping put animation up there with live action film for the first time in history. 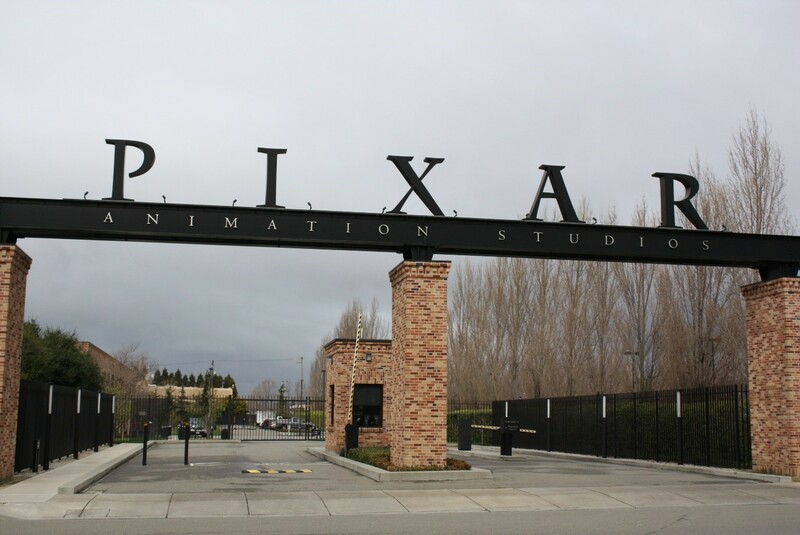 Rather than compete with Pixar, Disney worked with the company on a number of occasions and ended up acquiring it in 2006. Since its first major release, Pixar has gone on to produce a huge collection of iconic family films, including A Bug’s Life (1998), Monsters, Inc. (2001), Finding Nemo (2003) and, more recently, Inside Out (2015). There have also been two successful Toy Story sequels. It’s not just Pixar at it, either – DreamWorks Animation has provided plenty of computer-generated competition over the years, releasing titles such as Shrek, Kung-Fu Panda and How to Train Your Dragon. In the 20-plus years since Toy Story’s release, computer animation technology has continued to move forward, allowing studios and their animators to create bigger, more engaging and more realistic movies. As we look ahead, who knows what will be possible in ten years’ time?